Golf club head covers provide a layer of protection from your clubs hitting each other but also liven up your set of clubs. The designs and colors vary with many golfers adding a bit of comedy to their choice of head cover. The best golf club head covers are the ProActive Sports Zoo Golf Club Headcovers. They add comedy values to your golf club bag and excellent protection to your clubs without being too obtrusive. There is not one size fits all with regards to club head covers. There is usually a separate set for the drivers and woods, irons, wedges and of course the putter. The most popular choice is to buy covers for fairway woods and the drivers as they stick out the most out of golf bags. The funniest golf head covers are often the best buy with the majority being novelty or animals. The term “the money shot” is often mentioned when you putt and for this reason, you will find lots of putter head covers with a money design or a lucky charm. 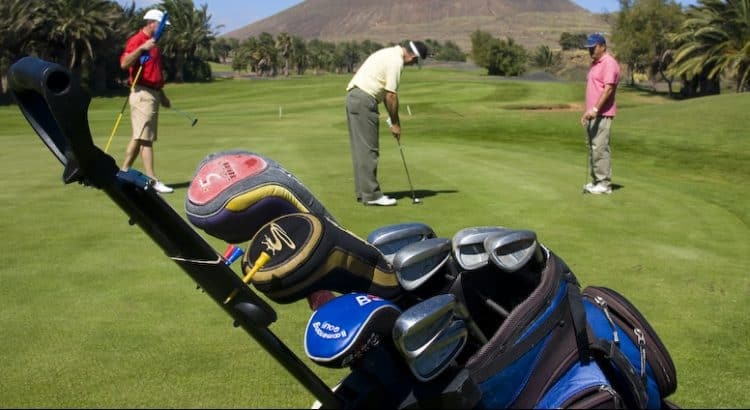 Golf club head covers are not only for show, but they also offer excellent protection to the clubs. This protection comes in the form of keeping them dry if you are playing golf in the rain but also prevents them from hitting into each other. If you have ever had your golf club set fall on the floor, you will see how easily they can be come scratched. Of course, there are plain golf club head covers you can buy but what is the point in that. Below is a list of the best head covers for golf as well as the funniest head covers if you are looking for comedy values within your golfing gear. The Pro Active Sports head covers offer a variety of animals that will protect your golf clubs from scratches. It will fit drivers of 460 cc as well as your 3 and 5 wood. 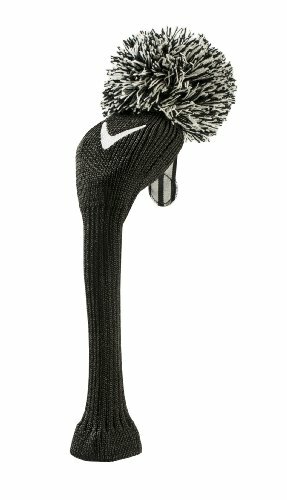 The golf head covers are very easy to clip to the shaft and the plush head sticks to the head of the woods securely. It is a novelty head cover that will receive comments on any golf course and they are highly popular. 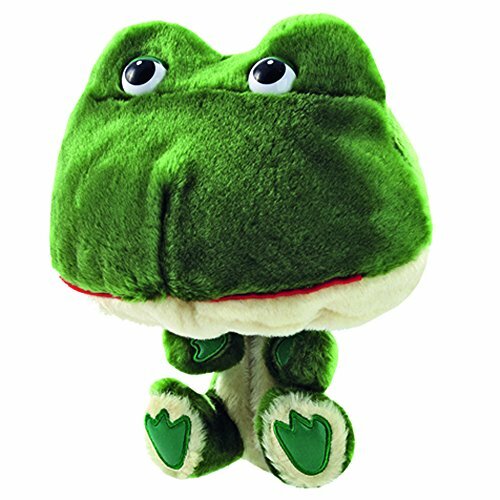 Overall, they are some of the funniest golf head covers you can buy and are good quality. 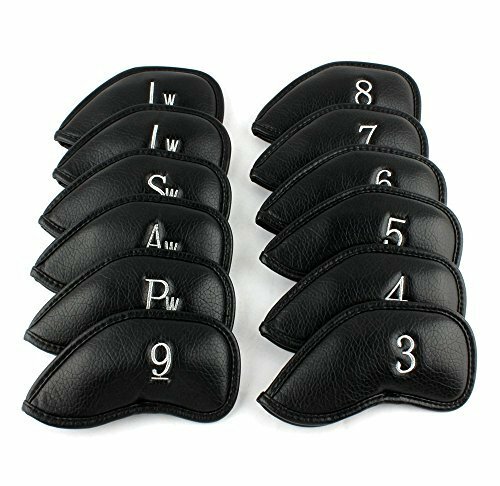 However, if you are looking for a more professional look and feel, the Callaway Vintage head covers will be more suitable. 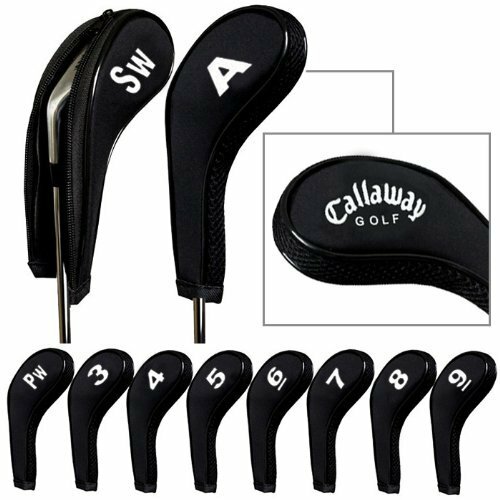 Callaway is a major golfing brand and their head covers made from high quality acrylic knits with large soft toorie. There is a range of sizes available for drivers, fairway woods and more. The tighter weave will stretch but it still maintains the shape. In terms of styling, they are not novelty head covers but more of a classic look and feel. They have an extra long neck to provide added shaft protection compared to many alternatives. There are 5 different colors and style to choose from where they all have distinctive markers that mark which golf club they are. They are great alternative to the moulded styles and the stretch within the material allows for an easy to fit cover. Overall, they are the best golf club head covers for the money and you will not be disappointed. To compliment your covers for your woods are the dedicated iron and wedge head covers also made by Callaway. The zipped covers provide the ultimate protection from scratches and moisture that golf clubs suffer from during a round of golf. They are made using a synthetic matte cloth material where the edges are beaded for strength. It will stop the clatter of your clubs whilst travelling with your golf bag. Overall, they are one of the best iron head covers you can buy and the clear markers are user-friendly enough for quick picking of clubs. The issue with head covers for irons is that they will need to be tight to be securely held and not fall off. This brings issues with comparability but Craftsman Golf has built a universal iron head cover. They are made from a thick synthetic leather that is oversized and waterproof. To get a secure fitment, there is an adjustable Velcro and minor stretch within the leather. As with the Callaway alternatives, they are clearly labelled for each club and will prevent your irons making noises as you travel with your clubs. The iron head covers are excellent value for money and you have the peace of mind with the universal fitting. You will often hear the term “Money Shot” in golf when a golfer is playing for money and they need to sink a putt. With this theme in mind, the Money Maker putter headcover is the perfect design. Of course, you may own a mallet or blade putter and the two will require different head covers. The most popular putter is the blade style and this style cover is shown above with gold dollar signs and the distinctive “MONEY MAKER” signage. The putter itself is a universal fit for all blade putters with the insides made containing high-quality fur pile lining. Removing the cover is a simple case of undoing the Velcro that securely holds the cover in place. 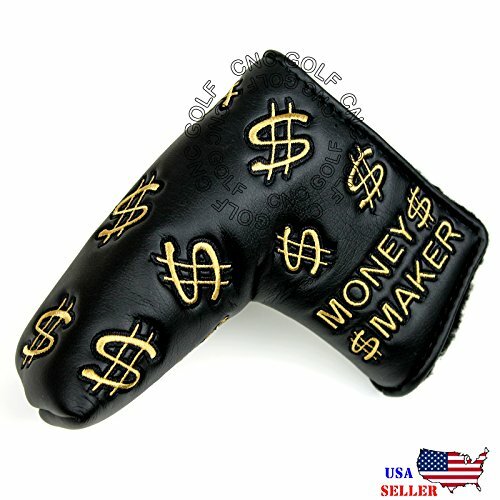 Overall the Money Maker is the best putter head cover with similar designs available for mallet putters. It is a fun cover and will get other golfers commenting and checking if you can really pull off the money shot. Buying the correct cover for each club in your golf bag is important. The majority of the time, there will be a separate driver, fairway wood, iron/wedge and putter covers that are not interchangeable. If you use premium clubs to play golf, you will want to ensure they are protected. Not only will they start to look rough but they clatter and make irritating noises whilst you travel around the golf course. If you play golf in the wet, you will already have purchased rain coats for golf and even gone all out with waterproof golf pants. However, many golfers will still not cover their clubs and they end up getting wet. This becomes a problem as the water usually drips down to the grip of the club that leads to poor grip with your hands. In terms of design, many golfers will differ where many will prefer the classic and professional look. However, many golfers opt for the novelty head cover that is funny and bring a smile to passing golfers faces. Overall, the best golf head covers are high-quality materials that protect your clubs, reduce noise and provide your clubs with a bit of character. The covers listed above are highly popular worldwide and will not leave you disappointed.